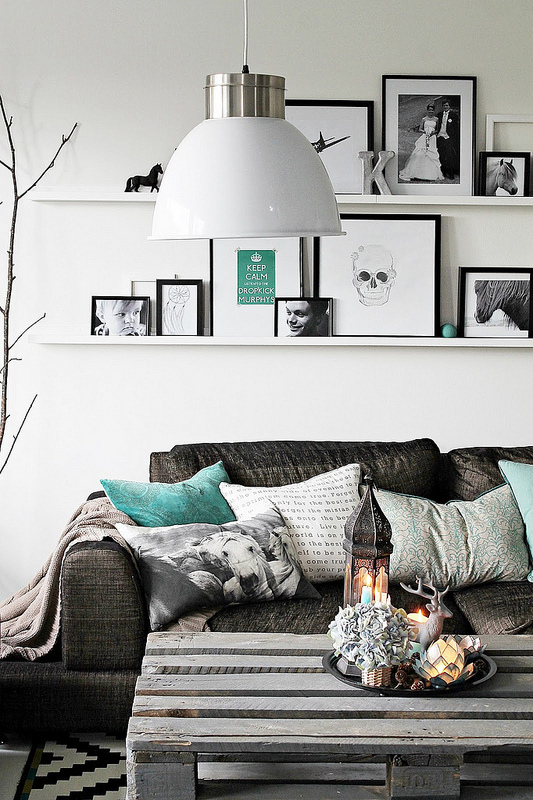 Autumn brings with it an excellent array of choices when it comes to interior design. 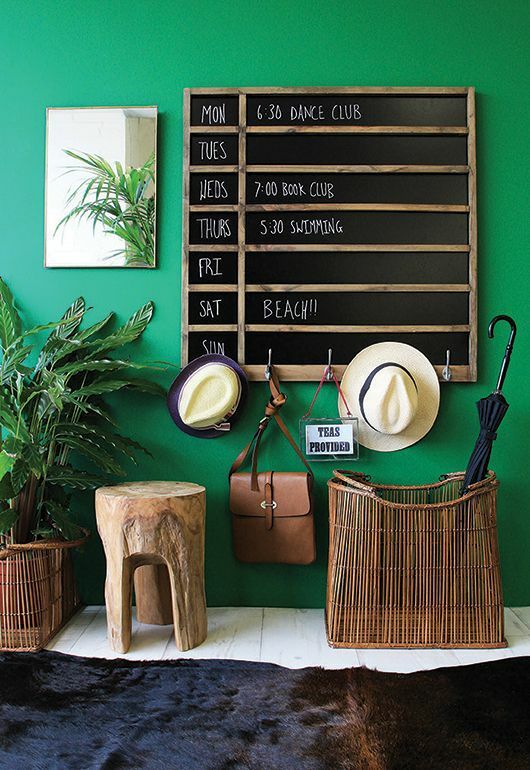 At this time of the year, you might want to go slow on colors that come with a scream and generally tone it down a bit in order to stay in sync with nature. 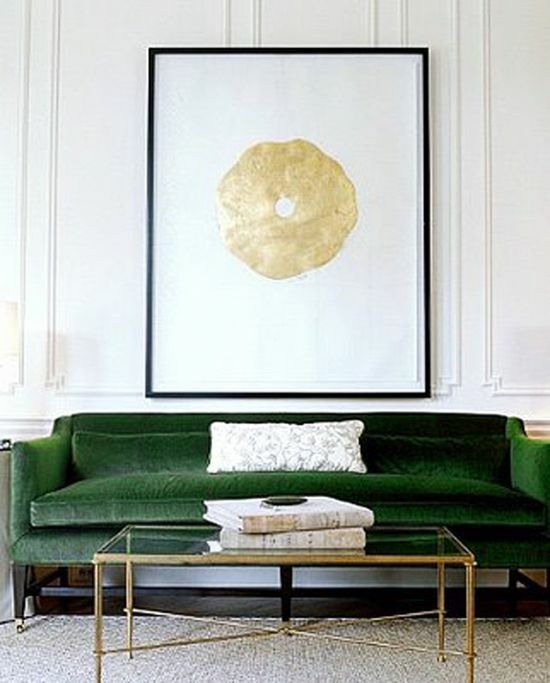 Emerald and blue, for example, are some of the hues that fall right off the luscious appeal of the Oscars. They are rich, quietly elegant and put forth an aura of quiet, expensive confidence. 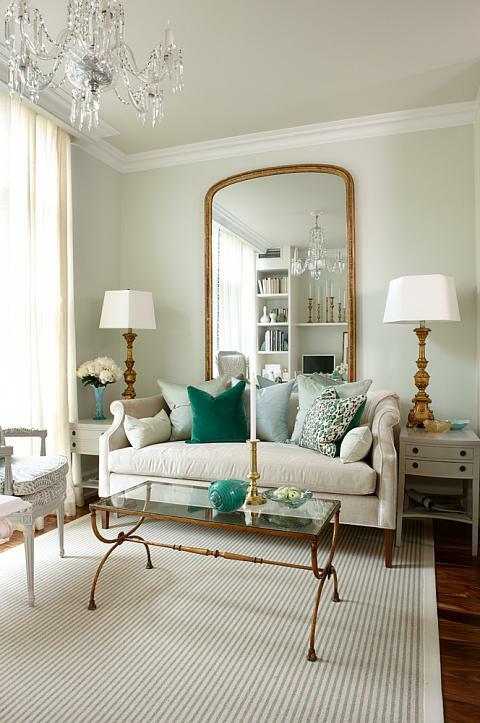 Nothing beats these two when it comes to making a room stand out in subtle, clever ways. 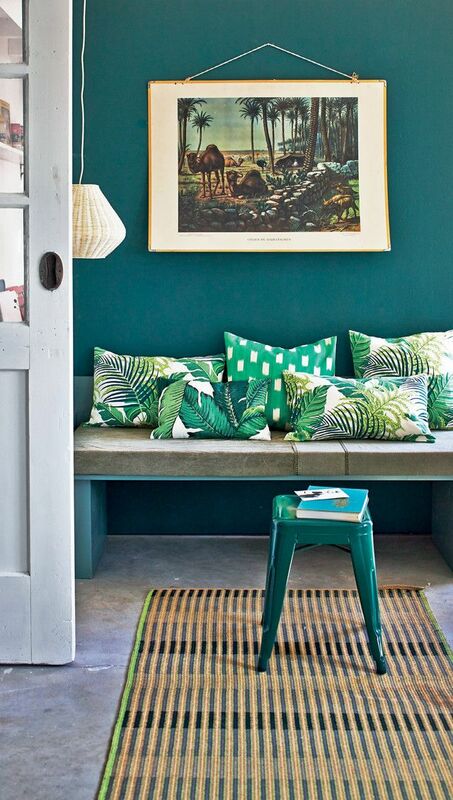 If you are looking for an opulent scheme to sit through the autumn with, go with these blues and greens. Their outlook is gorgeous, and the feel is delicately rich and imposing. 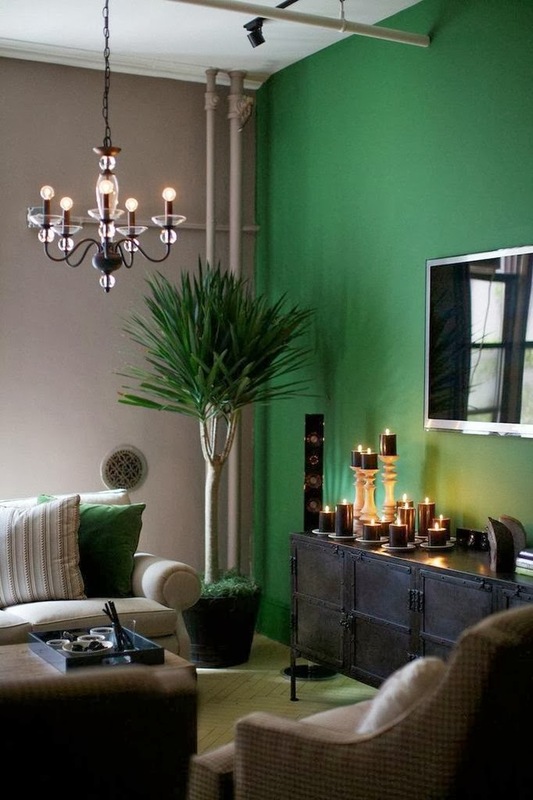 If you want a particular room to reflect your persona, you need to know what these different colors do to your perception. Color experts point out that those who fall in love with blue topaz and emerald are creative in many ways. They know precisely what needs to be done, and they combine the potency of their creative minds with an eye for the spectacular. 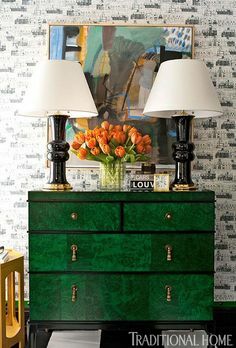 The two standout colors tend to veer on the darkly rich, and they also reflect the subtle design approaches of an individual who is confident and outgoing at the same time. 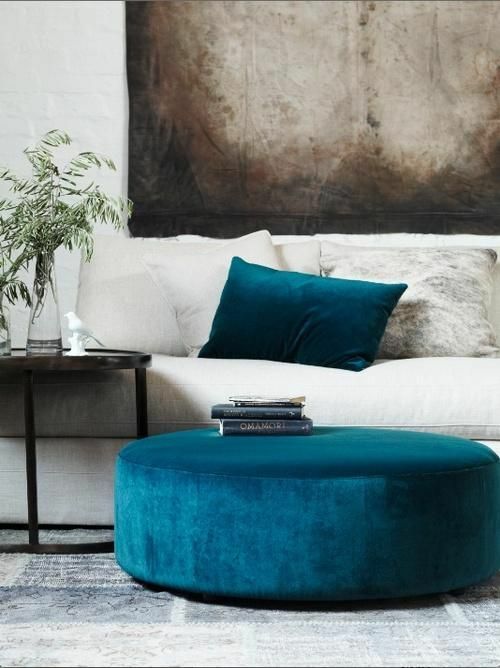 If you are looking for that grown up glamour, go beyond the color tones of your living quarters and pay attention to other aspects of interior decor, such as furniture. 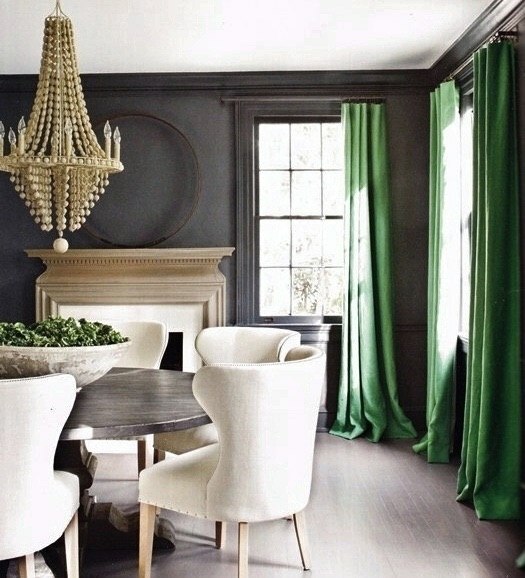 Throw in a little contrast, because it allows different aspects to stand out in in an asserting manner. 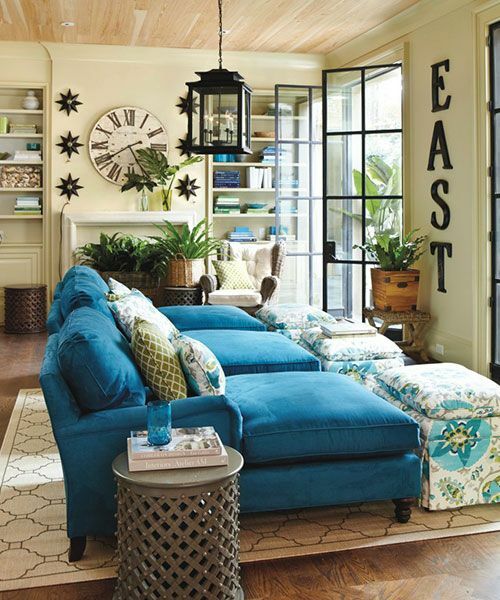 A good idea would be to go for furniture with rich décor lines. 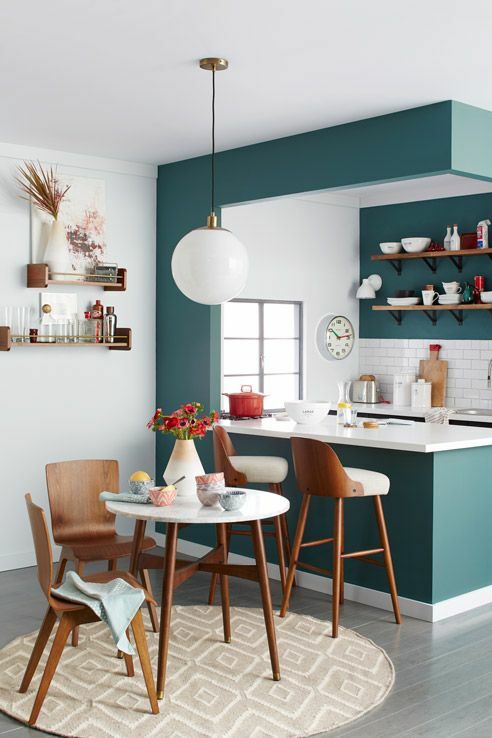 Ensure that the final effect is that of a mix of a variety of choices, such as walnut or golden metallic finishes. Golden hues have a really rich vibe to them, and they help in creating the kind of aura that invites class and sophistication. 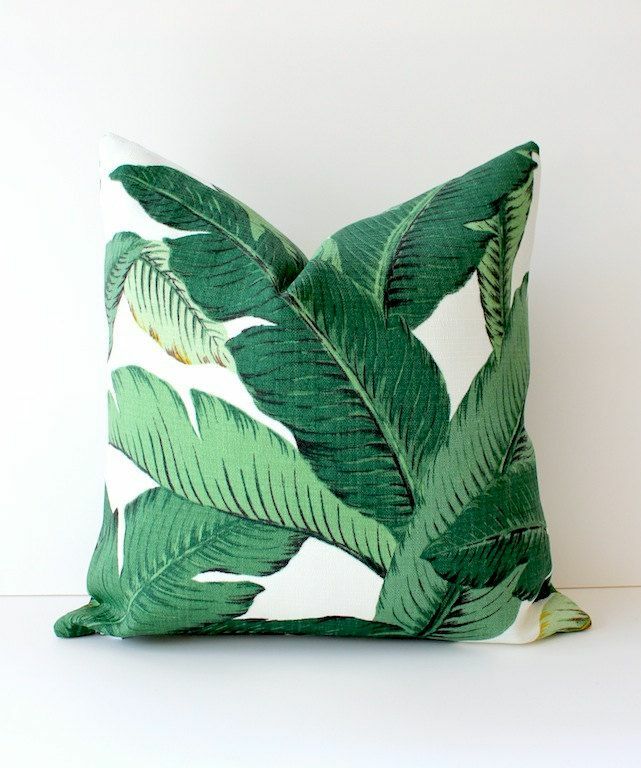 You want the interior to look vibrant and not ‘lazy’. 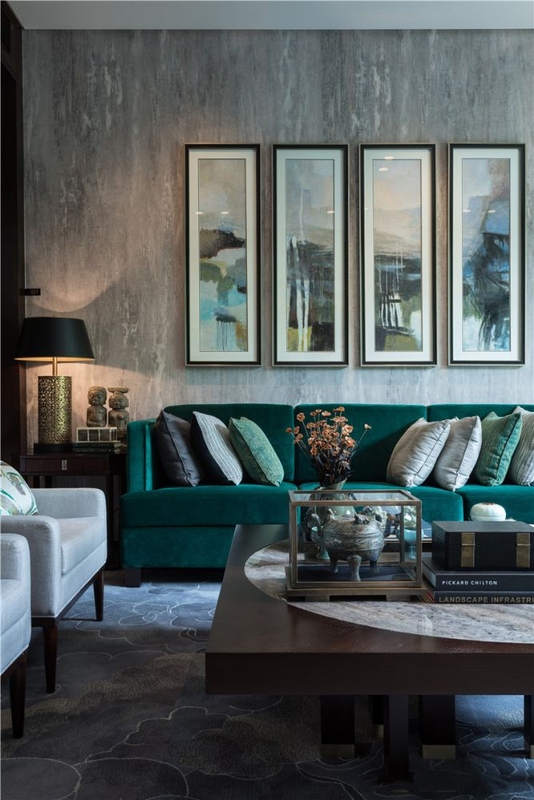 To achieve this effect, you might want to contrast the teal in some elements by finding lustre vases and soft furnishings .The end feel is that of a rich, velvety environment that has been laid out thoughtfully and deliberately. 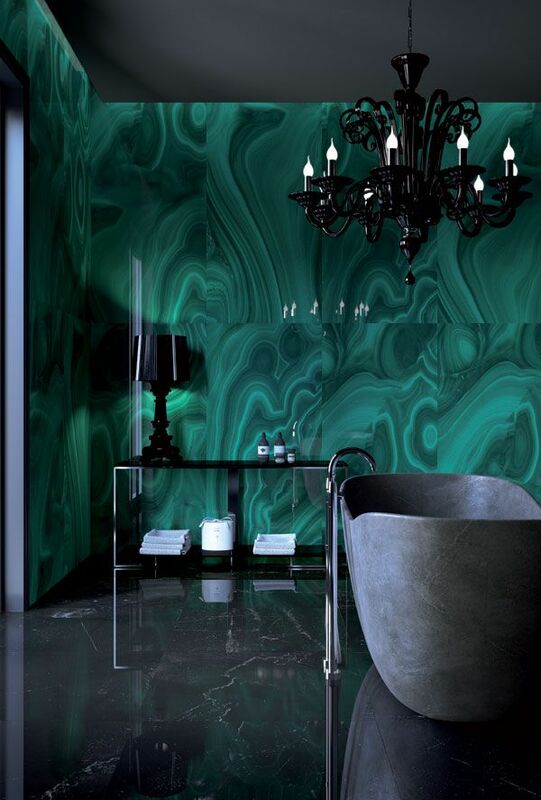 Emerald and blue topaz create a cozy outlook and give off the sense of imposition when it comes to space. They herald an aura of intimacy and boldness in choice. 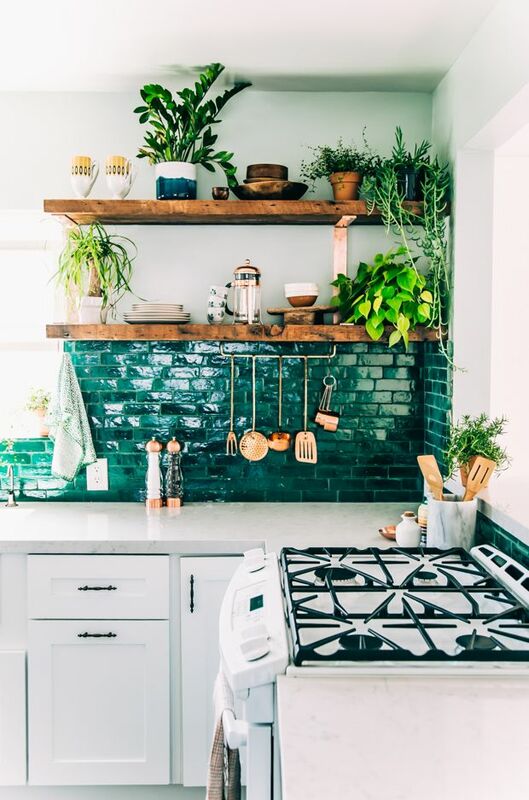 Designed by Kelly Wearstler, Cameron Diaz’s glamorous kitchen is due in part to the backsplash, countertops, and sink fittings made from unlacquered brass. 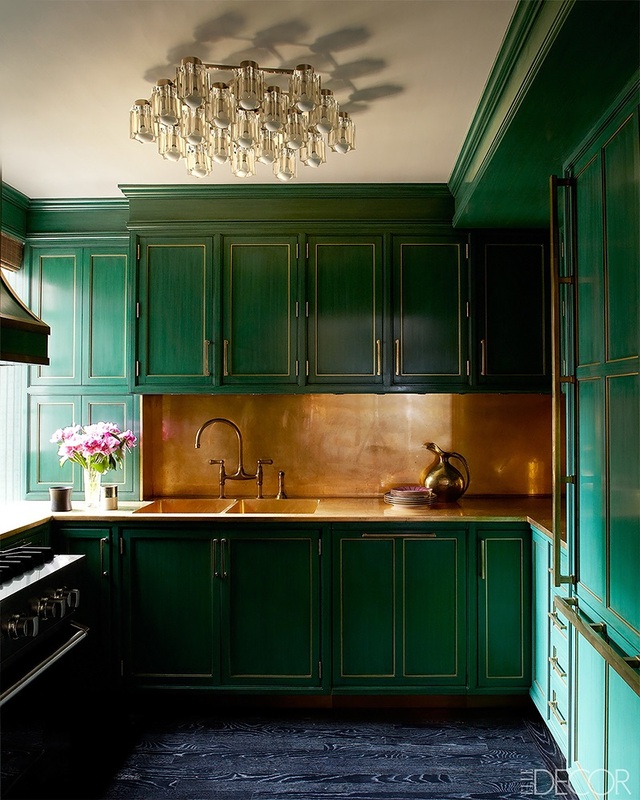 Her cabinets are trimmed in brass and lacquered in a custom green hue. 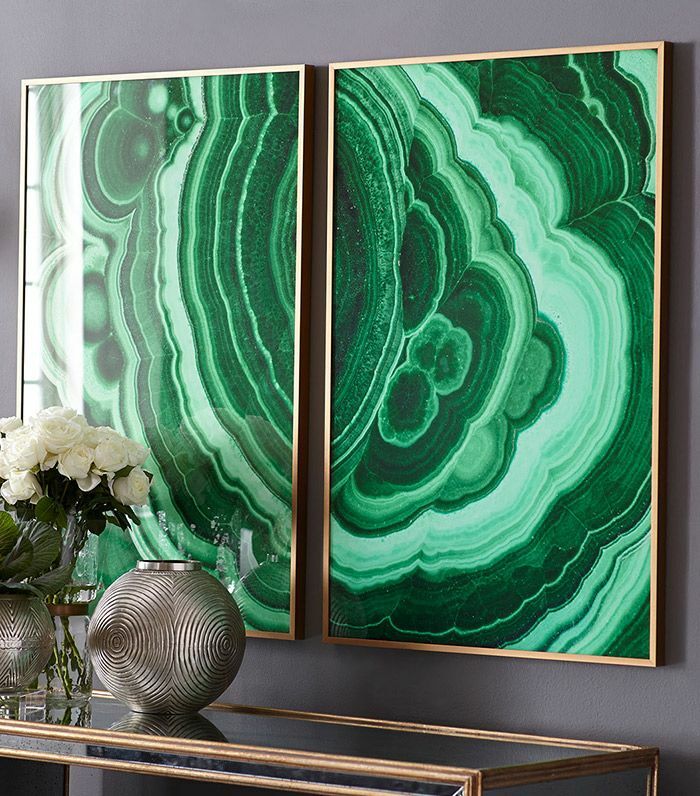 You would never know this wasn’t real malachite! This company has some unbelievable products. Semiprecious series by Fiandre. Images are ink-jet printed onto a slab of engineered clay and then fired; the final result is a large glazed porcelain tile that looks like a slab of polished stone. 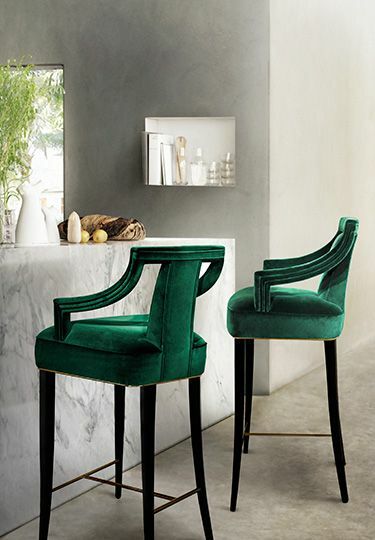 EANDA BAR STOOL by BRABBU. 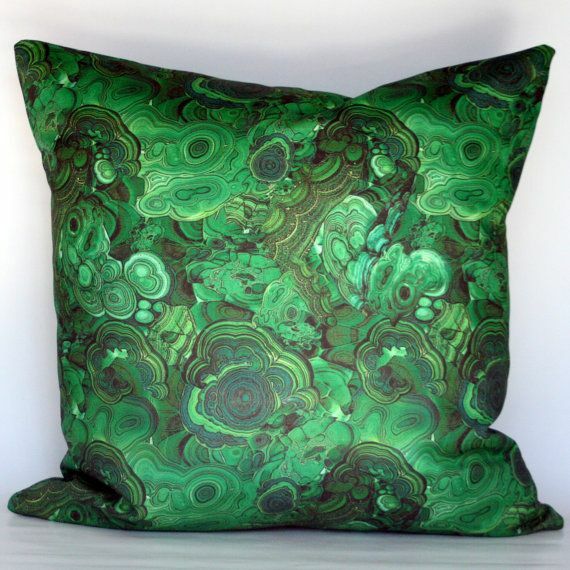 This unique design resembles a malachite stone. 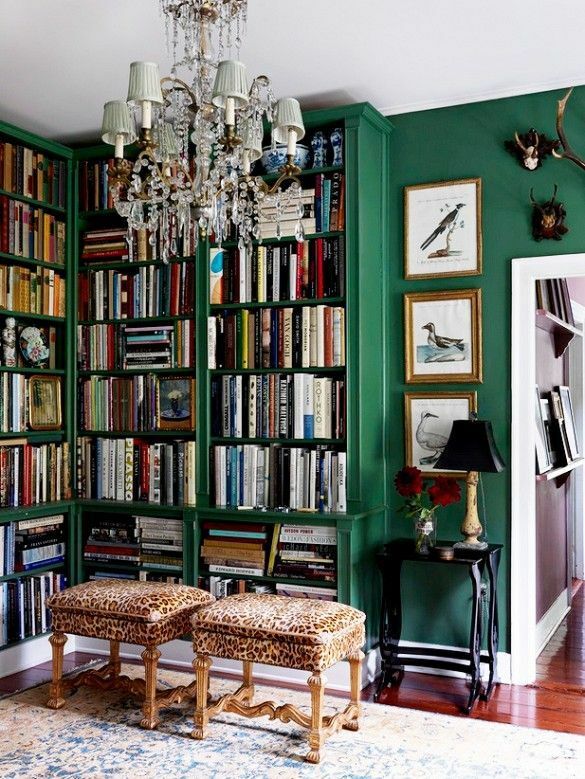 The main color is emerald green, but the variations range from light green to almost black. You can find it here.